For an introduction, explanation, and chapter index for the Another Derby series, click here. Make sure you start from the beginning! The Another Derby series will be taking a look at all sorts of roller derby variations, from the basic to the complex; the tame to the extreme; from the versions of the sport grounded in reality to fantasy imaginings up to and including those that are not of this world. The common thread that they all share is that they were inspired by, if not directly based off of, the game invented by Leo Seltzer in the early 20th century. Today’s legit sporting version of roller derby is in that same boat, a modern update of the game that started it all. Contemporary efforts to make a game that is consistent, fair, and engaging are praiseworthy, especially considering the all-volunteer nature of the organizations overseeing things. However, with so many moving parts to worry about and so many voices to consider when updating rules among other things, growth can sometimes be a painful and frustrating process. At the same time, many people involved with modern leagues want absolutely nothing to do with roller derby’s theatrical past, working under the impression that doing so will make it easier to work towards gaining ground in establishing legitimacy. Completely cutting off ties to the past may indeed be a good thing when it comes to educating people about what today’s game is all about. On the other side of the coin, there were things in the original form of roller derby, before the game became entertainment-based, that could be of help in today’s drive to improve the game for everyone. Much of the groundwork for a fair set of rules was devised in derby’s pre-history, and ignoring the blueprints of the past, which have been around for more than 75 years, may be a bit narrow-minded. Regardless of what you think about the old game, there’s no harm in taking the time to see where it all began. The origins of roller derby, its history, and its original rules came about for a reason, and there may be some useful information for today’s roller derby to take from it. Maybe with this extra perspective, everyone in the derby community can help themselves make a better game for everyone—players and fans alike. The competition that ultimately spawned roller derby as we know it was, funnily enough, slow and boring. In depression-era America, people would watch pretty much anything for a good time. Patrons would rather be distracted in a movie theater running a long double-feature or at an endless baseball game than realize the harsh economic realities around them. So long as someone felt they got their quarter’s worth, you could probably get them to watch something as thrilling as a contest to see who could shuffle their feet or walk around in circles the longest. Happily for us, a west coast businessman named Leo Seltzer took this notion and ran (…walked?) with it. 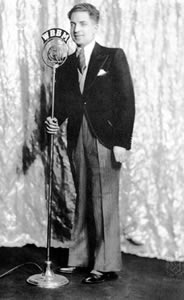 In the early 1930s, Seltzer staged a series of “walkathon” competitions in which financially depressed contestants desperate for a cash prize would dance, shuffle about, walk around, or otherwise keep moving until they couldn’t move no more. The last ones standing—literally—would be declared the winners. It was a competition not unlike one a modern radio station would hold today, as might contestants vying to win a car keep their hands on it for as long as possible. Those contests can last from a couple of hours to maybe a day or two. Walkathons and similar endurance competitions of the era could potentially last for weeks. Weeks!! Even so, Seltzer was very successful in staging these events, thanks to high production values and additional stage entertainment that spiced up the show. Music, comedy, variety acts, and side competitions helped to entice folks to come back (and pay admission again) to take in the new daily shows while seeing how the contestants were doing over a longer period of time. After a few years, Seltzer moved his production to Chicago and looked for ways to improve upon them. In the light bulb moment that began the waves of change in American sports history, Leo realized that virtually everyone in the country had roller skated in some point in their life. Looking for a way to incorporate skating into his endurance competition, he thought, Why not turn the slow-paced walking marathon into a fast-paced skating marathon? He called his new event the Transcontinental Roller Derby. Opening night at the Transcontinental Roller Derby in Chicago, August 13, 1935. Its debut was on August 13, 1935. 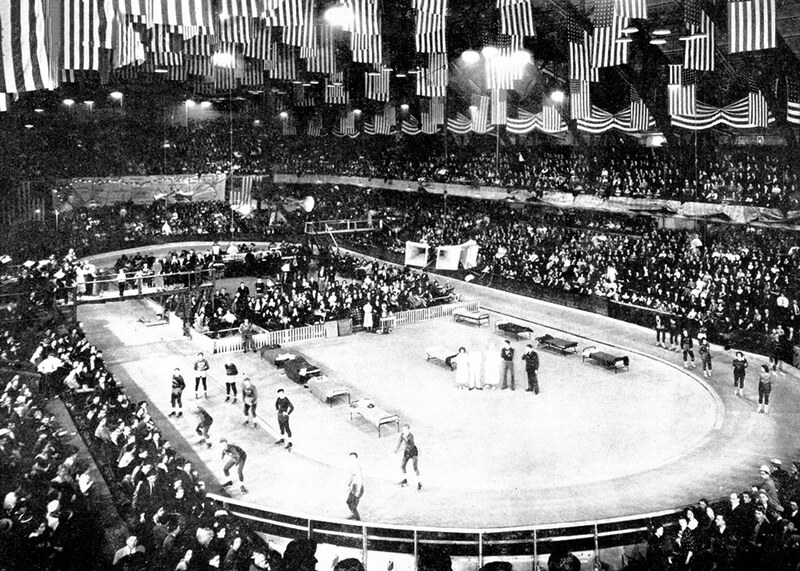 Nearly 20,000 people filed through the old Chicago Coliseum and witnessed a virtual cross-country skating competition. A dozen or so male-female pairs would race around a 100-yard flat track, running lap after lap, then mile after mile, to get as much distance as they could as quickly as they could. A giant map of the United States acted as a scoreboard, with lights indicating how far across the “country” the participants had traveled. The winners would emerge four weeks and some 3,000 skating miles later. It was billed as an endurance race, and in every respect it was: in an 8-hour day, the more veteran skaters could pull upwards of 2000 laps, or well over 100 miles distance daily. Generally, only one member of each team would skate on the track at a time, though their partner would need to come on to the track first to tag them out if they needed to take a rest (which was often) or be replaced for injury. In what would plant the seeds for the future, the Transcontinental Roller Derby also featured special sprint opportunities. Skaters could try to pull away from one another in an attempt to catch up to the rear of the pack and steal laps from their opponents, earning bonus distance towards the overall goal. These sprints were much more exciting than the monotony of endlessly lapping skaters, and unsurprisingly became the best part of the event. In due part thanks to the sprints, the event was an instant success. It had everything to offer in terms of entertaining fans: Speed, variety, competition, beautiful women, and compelling hero-figures to cheer on to victory. Popular skaters were beginning to emerge, both male and female, and Seltzer made sure to promote his emerging stars just as much as his emerging sport as he laid out plans for a national tour. At this point in roller derby’s pre-history, it’s important to realize that the competition was completely legitimate. The rules were clear in stating that forcible contact between skaters of any kind was strictly forbidden, even during the lapping sprints, for fear of fines or disqualification from the event. There were many instances of faster skaters inevitably lapping slower ones as the miles were racked up, but blocking them from advancing was a big no-no. Still, the concept of faster skaters catching up to slower ones was far and away a crowd favorite. To take advantage of this, the rules of the game began to change to have these sprints occur more frequently and in more situations. This ensured the crowd would keep coming back…and keep buying tickets. Through 1936, derby rules were in flux, constantly being tuned to give the fans more of what they wanted to see and less of what they didn’t, without compromising the integrity of the competition. The race-for-distance format was dropped for a race-for-points system. Long, unending lapping of the track began to be phased out for shorter, faster sprints. The banked track made its debut after it was realized that skaters could reach and attain crowd-pleasing higher speeds (and bigger spills) on the high banks. Then on one fateful night in 1937, during a race series in Miami, Fla., there came a breaking point where the bigger, slower skaters were fed up of their smaller and more nimble opponents literally running circles around them. With no other option, the big players began to block and shove the faster players back into the pack behind them to prevent them from getting out and away from them. The rules at the time still disallowed these actions, so the officials stopped play to dish out the appropriate discipline. The crowd, who was quite enjoying the rough stuff, voiced their displeasure at this turn of events. Ever the one to make sure his customers were happy, Seltzer effectively changed the rules on the spot to allow physical contact between participants to see what might happen….and boy, did it ever happen. More than any of the changes made to derby up to this point, it was the introduction of physical body contact that truly made it viable as something more than just a gimmicky road show. By coincidence, Damon Runyon, a prominent author and newspaperman of the era, was at the Miami event. He spoke to Seltzer afterwards and suggested the game be redesigned to specifically incorporate contact. That same night, the two created a new set of rules that took all the best parts of the original Transcontinental Roller Derby races and combined them with the football-like physical blocking component. So was born the five-on-five team skating sport of roller derby. 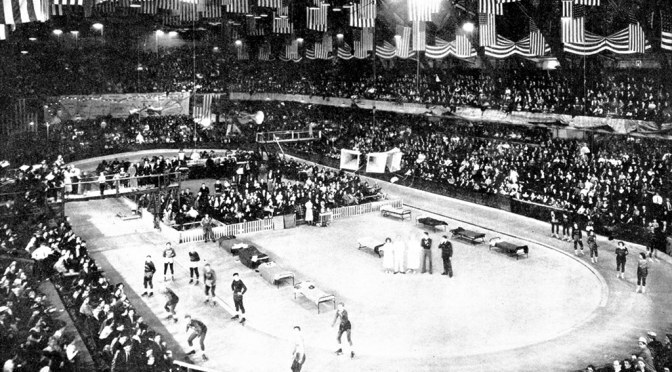 This first set of rules drawn up laid out the very foundation of the game as we know it today: Two teams of five players skate around a track, with specially designated players eligible to break from the pack in an attempt to lap around the track and pass opponents to score points in timed sprints known as jams. Though there would be tweaks in the years immediately following, like reducing jam time and the addition of the pivot position, the original rules and structure, amazingly, remained pretty much intact through four decades. Though the rules consistent, what didn’t initially was the new game’s success. Seltzer’s travelling show would soon expand to multiple units criss-crossing the eastern United States within a decade, but before there was success, there was near failure—and more than a couple of times where the game could have died out and ultimately have stripped everyone reading this the opportunity to play it today. 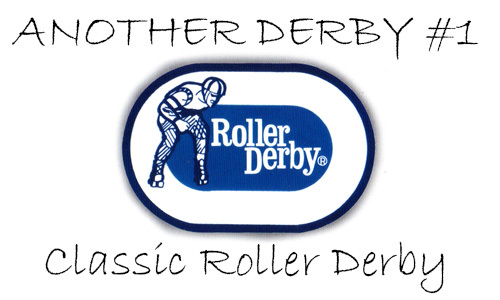 For example, when the derby first went to New York, the biggest prize for any entertainment venture, it was not well-received in its first attempt at a run in the late 1930s, losing a lot of money, embarrassing Seltzer, and damaging roller derby’s reputation. (Derby would return to Madison Square Garden with much better success in the ’60s.) Around that same time, a bus crash claimed the lives of almost all of the game’s best talent, very nearly killing off roller derby along with them. World War II also became a factor, as the draft depleted skater rosters in the mid 1940s, choking the impact of roller derby during the war. But despite these close calls, the tenacity and savvy of Seltzer persisted and eventually roller derby would break through. In the latter half of the 1940s, millions of spectators in dozens of major cities watched as roller derby was setting attendance records left and right. Big money was starting to get into the action, with companies sponsoring popular skaters and teams. Derby was reportedly a multi-million production during this time, which was very, very impressive for the era. As the original roller derby was starting to find itself and become popular, newspapers began to take notice and reported on roller derby in print. This was great for Seltzer, since papers writing rave reviews about his events were great for business. Newspapers were the dominant advertising medium of the time, so Seltzer took advantage of them whenever he could, even going as far as sending some of the skaters (the female skaters, let’s be honest) to newspaper offices in advance of a tour stop to drum up interest and ticket sales for opening night. But when the papers reported on the happenings, they tended to focus on the what got the crowd the most vocal: the fisticuffs between the men, the hair-pulling between the women, and the fightin’ words directed between players of both sexes. This created something of a chicken-and-egg situation. How much of this was genuine? How much of this was staged? The crowd didn’t know, or care—they just wanted to see more of it. Roller derby, of course, began as a legitimate competition. There’s little question that the first instances of rough play in derby’s pre-history was equally legitimate—players getting too rough were heavily fined and ejected, remember. Inevitably, this would be reported in the newspapers. Over time, the rough play started to become a focus of these articles more than the reporting of the game action. In a certain light, this may have been a good thing, as it probably got more people to come see roller derby for the “action” between jams, than would have without it. However, the showmanship that popular skaters received (and potentially the extra pay they got as a result) may have been desired by other, lesser known players. There may have come a point when someone decided, on their own initiative, to take what the crowd would give them—or perhaps, to settle a genuine score on the track; no one alive today likely knows the reasons why it started to happen—and went rogue, creating very first instance of “fake” in what was until that point a 100% real game. This, in turn, would be reported in the papers, making these phony players popular (and better pay) and giving new spectators the expectation that they’d see more of what they read about in the reports. And so the cycle continued. From this point on, roller derby was destined to no longer be a sport, but sports entertainment…even if the general public never realized it. Seltzer was not entirely pleased by this. Sure, it kept ticket sales going, but ever the astute businessman, he believed that if the fake stuff was allowed to spiral out of control, people might grow tired of seeing the same old thing and lose interest. As well, derby was unable to secure a new long-term TV deal, leaving the game vulnerable in the long term. Leo’s big dream was for roller derby to someday be included in the Olympics; that doesn’t happen when everyone is faking it out on the track to grab headlines. As the 1950s loomed, Seltzer mandated that his players skate the game legitimately or else they’d be suspended. In an attempt to reign his game back in, rules were changed, such as making it illegal to throw opponents over the rail. 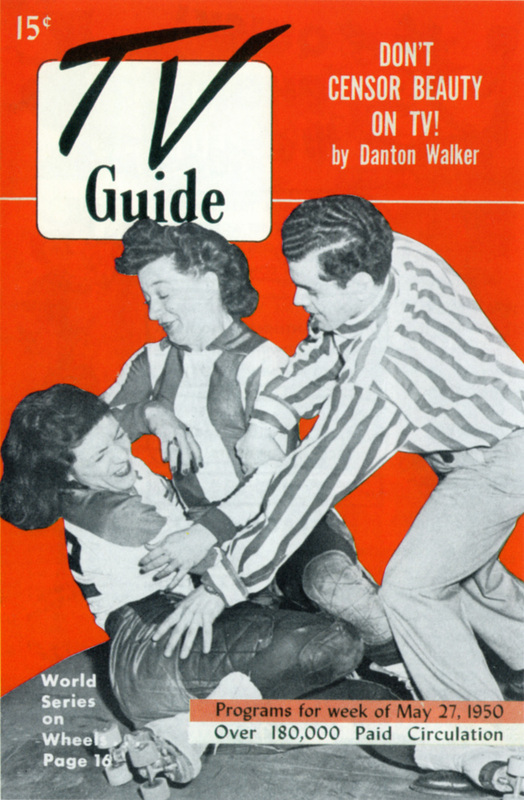 In an attempt to shore up derby’s future, plans were laid out to start junior roller derby leagues and training centers, in the thinking that new players coming in wouldn’t have been exposed to the “color” aspect of the show the Leo Seltzer wanted to rid of the game, if he could help it. For a time this did the trick, and roller derby was a (mostly) legitimate show again. However, by this time the roller derby production was starting to fall into debt. Perhaps due to over-exposure, the crowds weren’t as keen on going to roller derby as they were in the years before. Not helping things through the 1950s was one of the horrible ironies about playing the classic game straight: There were some contests ending in blowouts so big that crowds believed the games were faked to favor the local squad or the star players, a result of teams that were, in reality, not competitively balanced. Despite Leo Seltzer’s repeated attempts to hang on by a thread and turn roller derby around, the money had dried up in the promotion’s traditional east coast base of operations. Desperate times called for desperate measures, and so it was decided that the production would move west…and give in to the realities that necessitated putting the spectacle back into the sport. In the 1960s, Leo’s son, Jerry Seltzer, took over the day-to-day operations of roller derby. The game would recover, and then some, as it re-expanded nationally throughout the decade. It reached its high point in the early 1970s thanks in part to the behind-the-scenes manipulation of rosters to make sure star players were put where the show needed them, teams pre-determining plays to keep games close and exciting, and the pull-no-punches aspect of the game that sometimes was left to its own devices, much to the delight of the crowd. Despite this, Jerry Seltzer’s roller derby was still not a full-out theatrical event, but a careful balance of show vs. sport. To the people cheering on America’s roller derby team, the San Francisco Bay Bombers, the ruse was effective enough to go undetected. This was reflected by the newspapers of the day, printing the results of games in the national sports sections along side football and baseball box scores when they were made available to them. 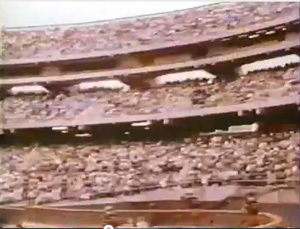 Derby was popular enough–and real enough–to fill football and baseball stadiums during special events, such as a traditional 4th of July game. However, the national energy crisis of the early 1970s crippled the tour’s ability to travel and pull in ticket receipts. Making matters worse was the fact that the places they could manage to travel to were poorly-attended due to potential spectators not able or willing to make the drive to the event, for lack of gasoline. Though derby was on television, broadcasts were primarily used as the ways and means to gauge interest in tour stops and promote the live, travelling show, where all the money was actually made. Without the resources to continue on, Jerry Seltzer made what was probably the most difficult decision he had ever made in his life: As of December 10, 1973, roller derby as the world knew it, would be no more. Obviously, the story of roller derby doesn’t end there. But nor does the story re-start with a group of Austin women in 2001, as many of the people playing in today’s modern game might assume. With roller derby’s west coast resurgence in the 1960s, competition began to pick up in the form of other roller derby leagues. Just as the Seltzer-branded roller derby shut its doors, a smaller, lesser-known promotion sensed an opportunity and bit at the opportunity to go big-time.